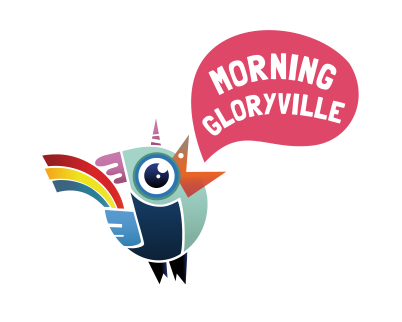 "Rave Your Team Into The Day"
Morning Gloryville is a social movement and a morning dance experience that has taken the world by storm. Over the past 3 years we have pioneered a global industry now known as conscious clubbing, grown our reach to 150,000 and won the 2016 Award for the Best Zero Alcohol Initiative in the UK. Watch this! Make your clients, staff and even competitors RAVE about your company by sending them their own MICRORAVE. It's an office take-over for 20 minutes. Unicorn. Boombox. Bubbles. The conga. The most awesome vibe. The perfect Xmas pick-me-up. Does your brand align with the MGValues of community, wellbeing, playfulness, transformation and sustainability? Could your product be THE missing piece of the jigsaw as we organise ‘The Gloryville Effect’ tour that embodies adventure, technology, travel and charity? We need equipment, sustenance and lifestyle support on our travels which will be broadcast to our followers. Would you like a micro-rave at your workplace, a workshop a Christmas party or a morning rave to reward and stimulate your team?